Juniper is at the heart of Sir Edmond Gin, and of gin and its Dutch predecessor jenever in general. It’s harvested, I kid you not, by beating the juniper tree with a stick. How an insignificant looking berry became the rebellious seducer it is today. When I set out on my gin journey, I knew one thing for sure: juniper and I would have to become best friends if I wanted to arrive at my destination. 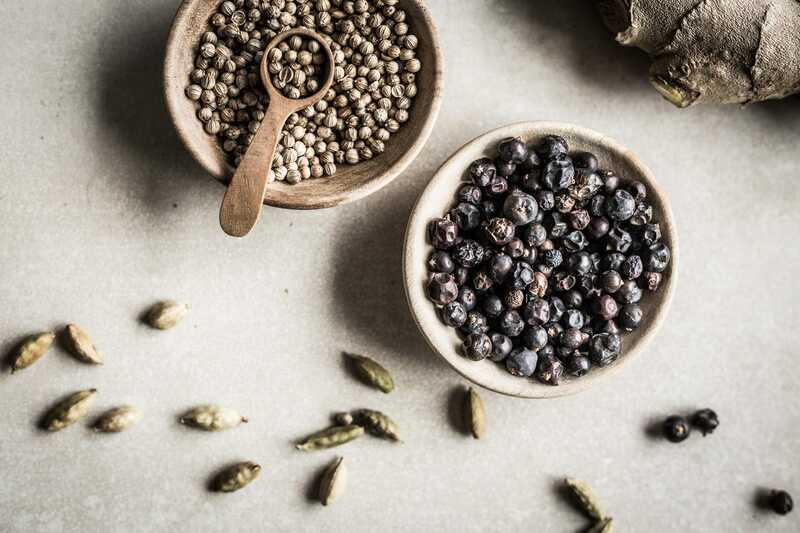 Because just like there’s no adventure without action, there’s no gin without juniper – to even be called gin, a spirit must have a predominant flavour of juniper. Let’s get the facts straight first: the aromatic ‘berries’ aren’t actual berries, but fleshy seed cones. Mine are from Macedonia, the world’s primary producer. In autumn, the berries ripen as their green skin turns purple. As a result of the seemingly unorthodox stick-beating, the berries fall, are gathered, get sorted, and – after a delicate distillation process – end up in your glass. Being part of the Cypress family, junipers are versatile fellows. Their trunk can used for timber, their cones as a spice or essential oil. 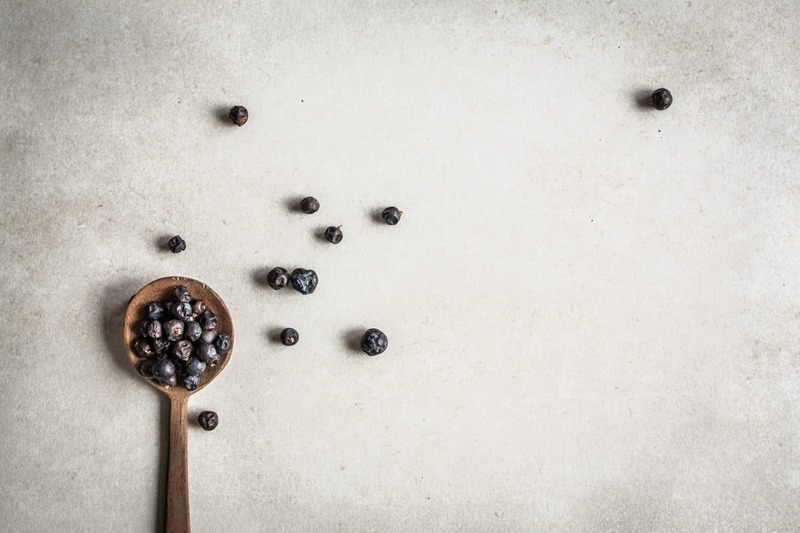 The Greeks saw juniper berries as a medicine long before adding them to their diet. They even believed the purple ‘pills’ to have performance-enhancing powers, using them at the Olympics to increase the athletes’ stamina. Juniper as doping, who would have thought? The supposed medicinal benefits were also what convinced the first Dutch jenever makers to add juniper to their distillate. Unknowingly, they thus set a standard that lives on until this day. The rebellious berry now finds its way into your favourite Sir Edmond cocktail, alongside vanilla, cardamom, cinnamon, ginger and angelica root. Let the unusual taste of Sir Edmond seduce you. A delicious gin journey awaits!